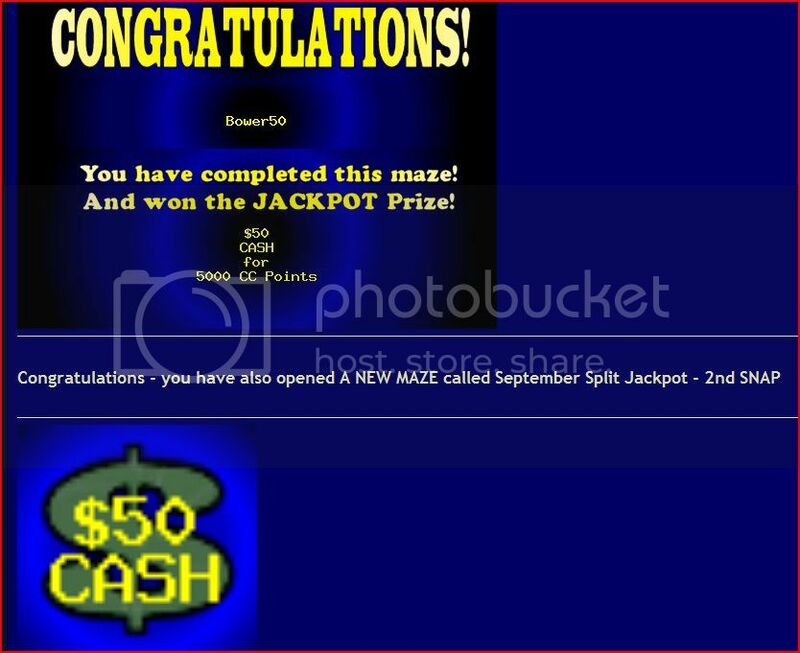 Posted: Tue Mar 27, 2012 8:36 pm Maze Win WoooHooo!!! Next maze is open now. WTG Archie! Enjoy your winnings! Is the new maze working?Had no arrows since starting and noone has hit a swap yet. Good luck on the new one.. It's working fine.Got 4 swaps in a row.LOL!!! YAY!!!! way cool rush !!! the woohoo!! !